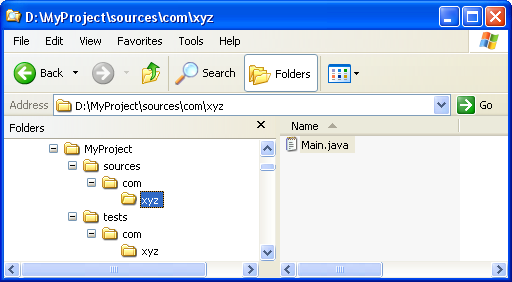 In this section, you will create a new Java project and organize your sources in separate folders. This will prepare you for handling more complex layouts. 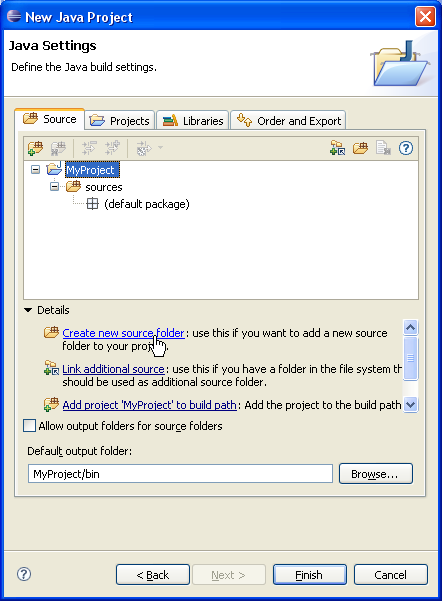 Type "MyProject" in the Project name field. 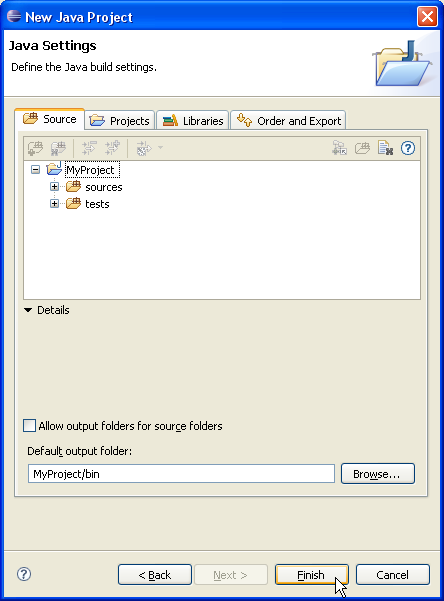 In Project layout group, change selection to Create separate source and output folders and edit Configure default... to modify Source folder name from "src" to "sources". 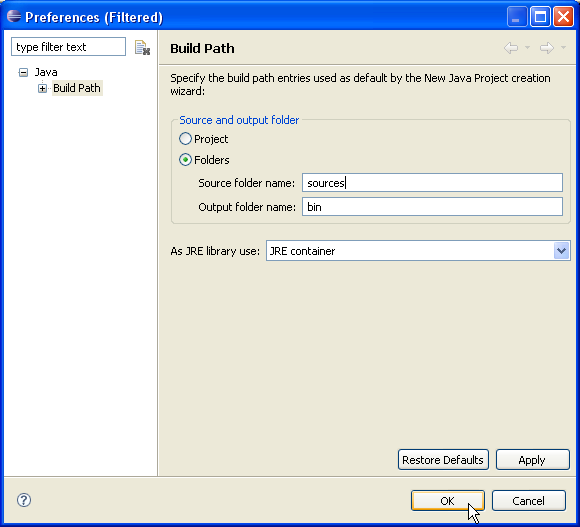 Click OK to return on New Java Project wizard and then click Next. 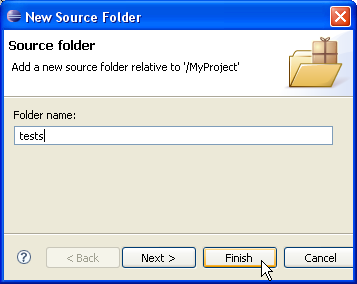 To add another source folder to your project, click Create new source folder link in Details pane or button in view bar. In New Source Folder dialog, type "tests" in the Folder name field. 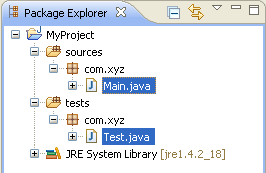 You now have a Java project with two source folders: sources and tests. You can start adding classes to these folders or you can copy them using drag and drop.